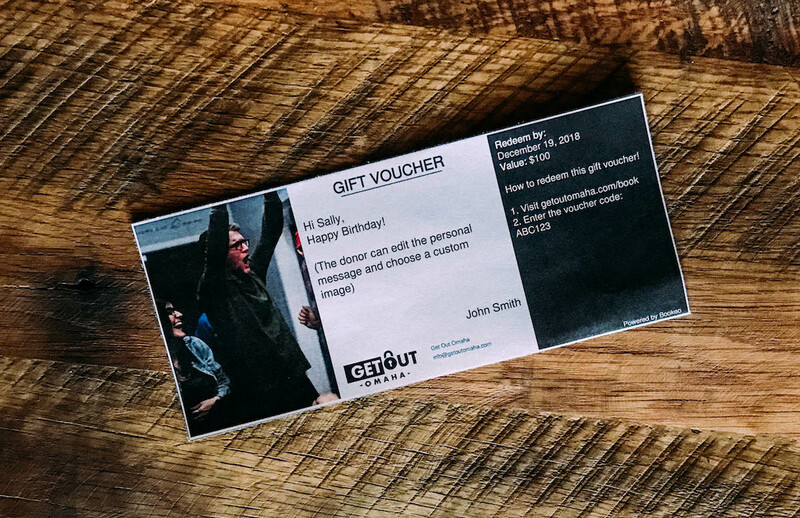 We’re all about experiences here at Get Out: Omaha, so we didn’t want to settle for a simple gift card. We’ve provided you with 2 convenient ways to gift our escape room experience! STUDENTS: enjoy discounted escape rooms any day of the week! Instant & Personalized – You have the ability to personalize your voucher with a note and image of your choosing! Need a quick gift? You’re in the right place! 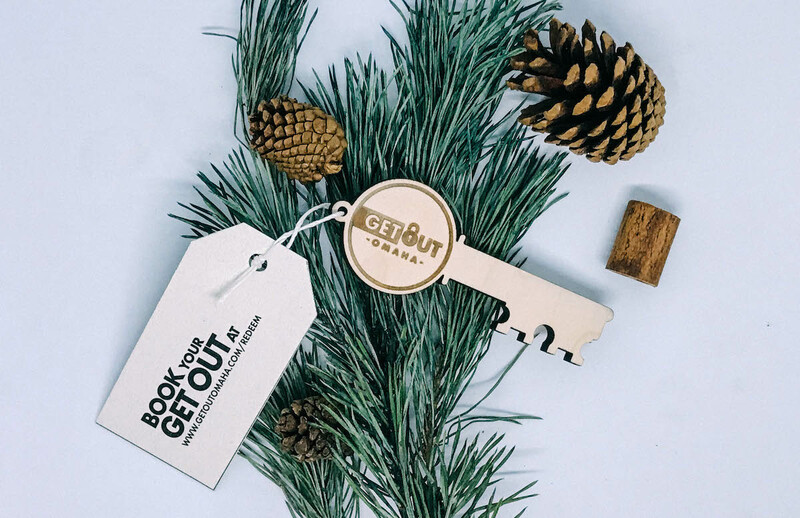 Our custom-made wooden gift keys are beautifully branded and available in-store only. A great option for a lasting gift!